International Center for Settlement of International Dispute (“ICSID”) was established on the basis of the Convention on the Settlement of Investment Disputes between States and Nationals of Other States of 1966 ("ICSID Convention"). 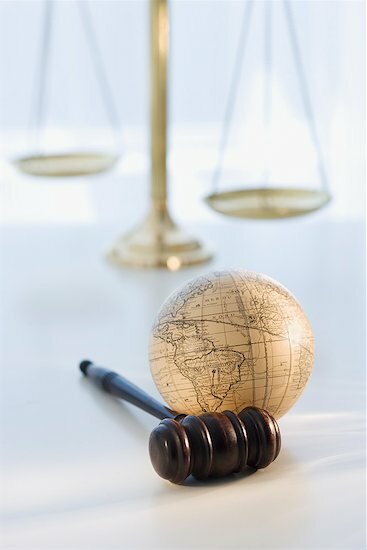 This ICSID Convention regulates the settlement of dispute between a country with foreign individual or company who have invested their capital in the country, by peaceful means through conciliation or arbitration. Government of Indonesia has ratified the ICSID Convention in 1958 through Law Number 5 of 1968 Staatsblaad 1968 Number 32 as an effort to resolve the possibility of the emergence of investment dispute between foreign investment and Indonesian party by the government itself or through private. Conciliation is set forth in Chapter Three of the ICSID Convention and the Rules of Procedure for Conciliation Proceedings (Conciliation Rules). Settlement of dispute may firstly be pursued through conciliation, which is in the form of a proposal with a non-binding decision. If it deems necessary, the parties may proceed to the arbitration process. In this case, the Commission shall be the judge of its own comission. The Commission has the authority to determine whether the requirements of a submitted dispute has met the requirements of the ICSID Convention and whether the object of the submitted dispute is within its authority. Once the Commission is formed, the President asked the parties to make a written report on their respective positions. Furthermore, the conciliation process was preceded by a consultation in which the President will ensure the knowledge of the parties of the conciliation procedure. The President will specifically review the views of the parties with respect to the language that will be used, the number of commission members that are required to make a quorum, the tools of evidence, and others. The President bases the conciliation process on the initial agreement of the parties. The hearings of the Commission shall take place in private and remain secret.. Whenever at the trial session, each party may call witnesses or experts who can provide evidence it deems relevant. To be able to make an agreement between the parties, the Commission may submit recommendations. If the parties have reached an agreement at the hearing, the Commission should close the hearing and make a report that includes the problems in the trial and noted that the parties have reached an agreement. Arbitration is set forth in Chapter Four of the ICSID Convention and Rules of Procedure for Arbitration Proceedings (Arbitration Rules). Arbitration is often choosen by the disputing parties because the procedure is easy, it has binding decisions, and it can not be appealed to the higher judicial authorities. Moreover, the issue is highly technical operations, that makes it difficult to be understood by the judges in the normal judiciary. Arbitration is generally a way of resolving dispute outside the court that is based on the arbitration agreement which is made in writing by the disputing parties. The characteristics of ICSID arbitration is not much different from the arbitration process in general. Tribunal consists of an arbitrator or arbitrators with an odd number that is appointed and approved by the parties and the procedure consists of two phases, namely the written process which is followed by an oral process.